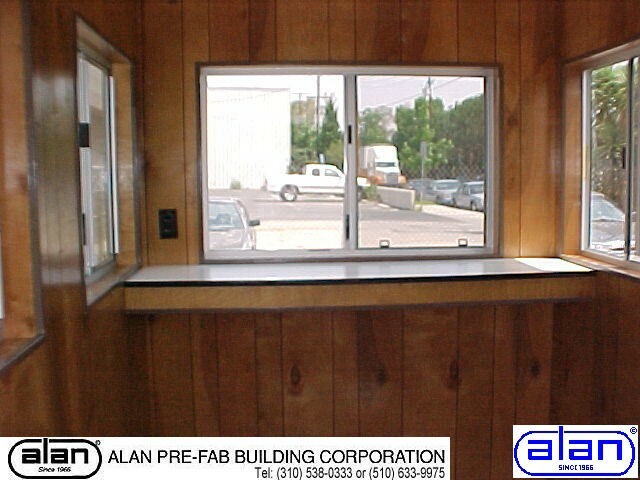 Alan Pre-Fab Building - -Custom Modular Buildings since 1966. In California! Call 310.538.0333 to order. 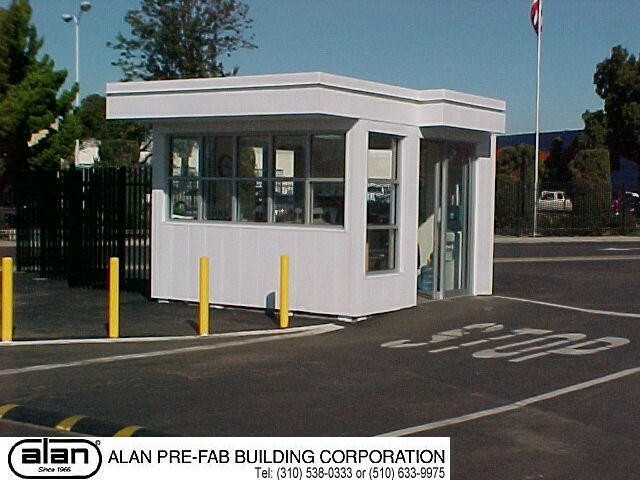 4'x5' skid mounted guard station. Unfinished (exposed framing) interior. Windows on 3 walls and door. 12" counter across one wall. Light, and plug stubbed out for hardwired electrical hookup (no built in breaker). Call 310.538.0333 to order. 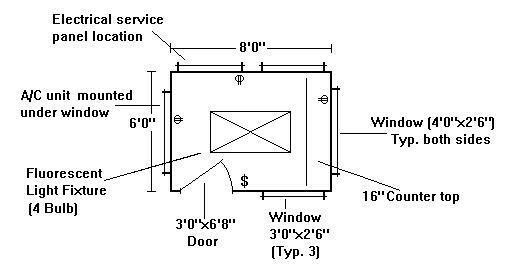 4'x5' skid mounted guard station. Finished interior (1/4" Birch paneling. Insulated walls and ceiling. 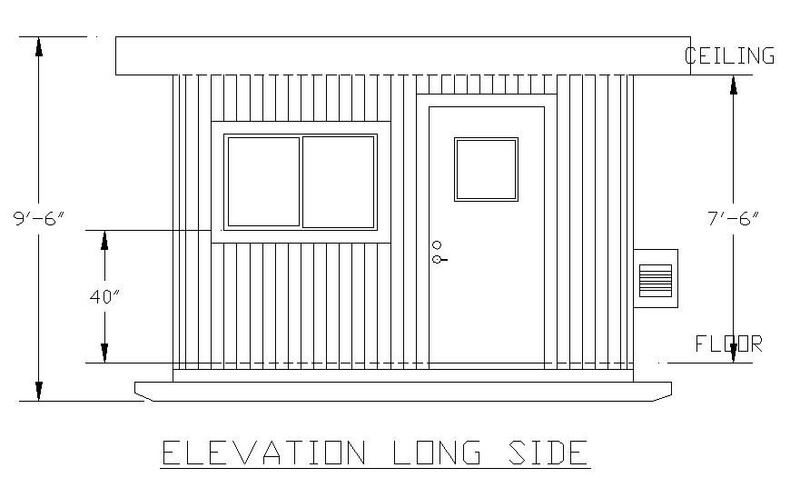 Windows on 3 walls and door. 12" counter across one wall. Fluorescent light, and plug wired to subpanel with breakers for hardwired electrical hookup. Optional air conditioner heater unit. 110 volt hookup. Call 310.538.0333 to order. 6'x8' skid mounted guard station. Finished interior (1/4" Birch paneling. Insulated walls and ceiling. Windows on 3 walls and door. 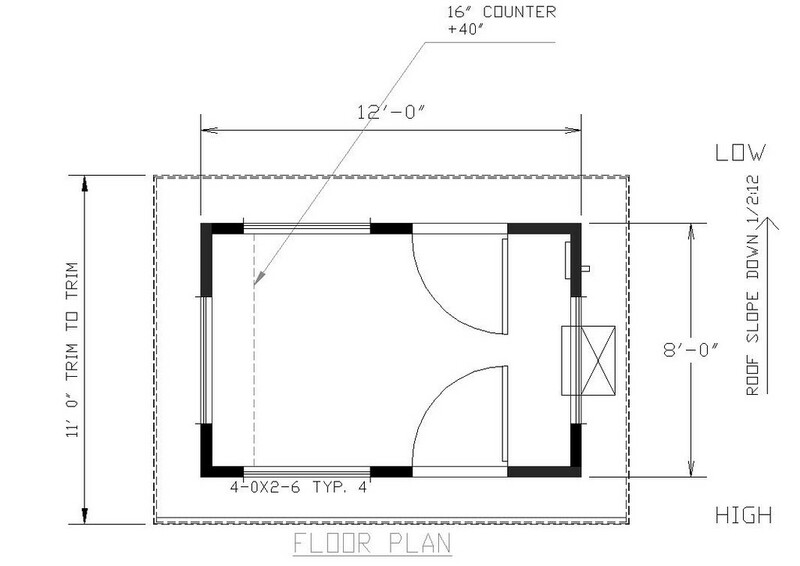 16" counter across one wall. Fluorescent light, and plugs wired to subpanel with breakers for hardwired electrical hookup. Optional air conditioner heater unit. 110 volt hookup. Call 310.538.0333 to order. 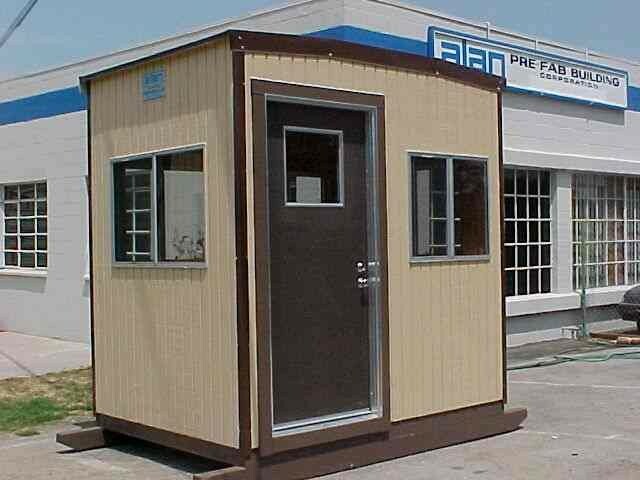 11'x13' Steel framed guard station. 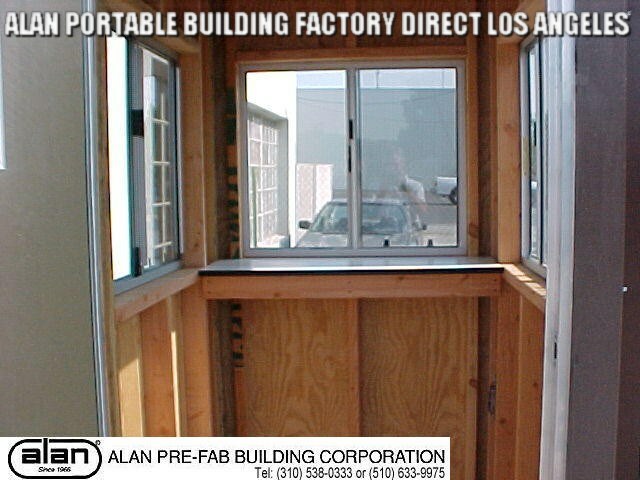 Permantly installed on concrete foundation. Finished interior (5/8" gypsum drywall). Insulated walls and ceiling. 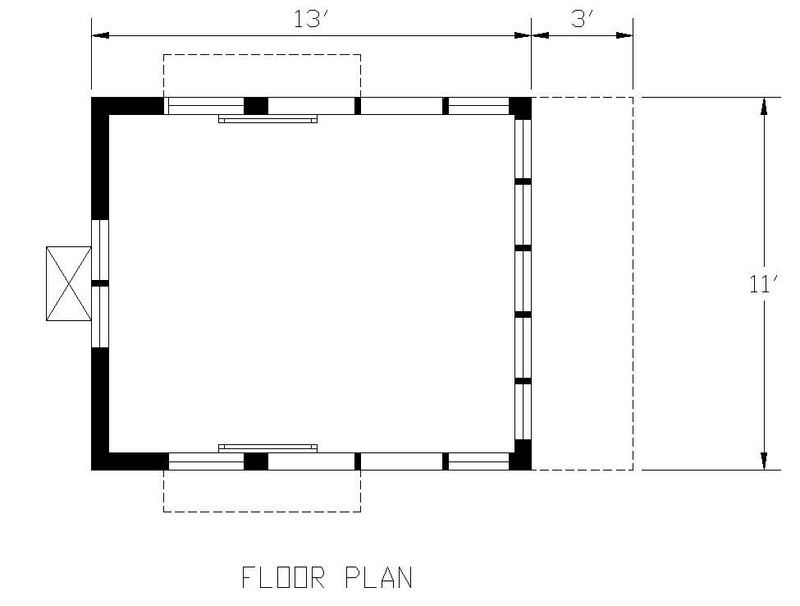 Storefront type windows on 4 walls. 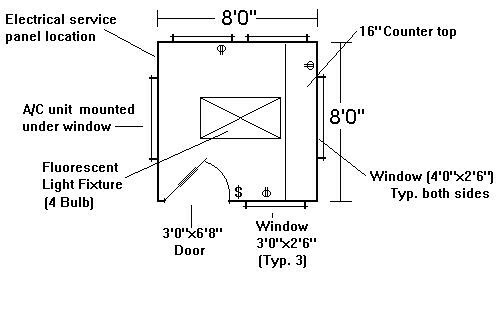 Sliding glass doors. Fluorescent light, and plugs wired to subpanel with breakers for hardwired electrical hookup. Air conditioner heater unit. 220 volt hookup. Call 310.538.0333 to order. 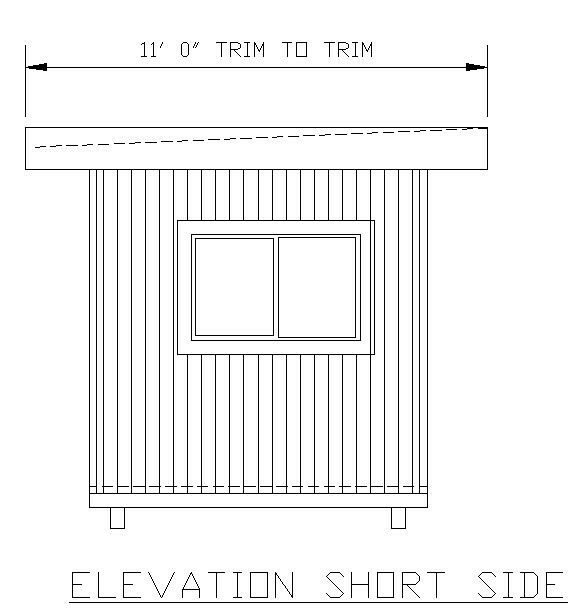 8'x12' skid mounted guard station with 18" roof overhang. Finished interior (1/4" Birch paneling, 1/2" gypsum drywall ceiling). Insulated walls and ceiling. 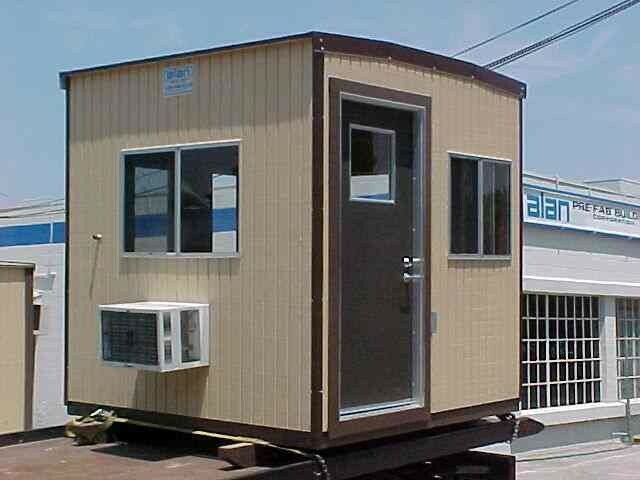 Aluminum sliding glass windows on 4 walls. 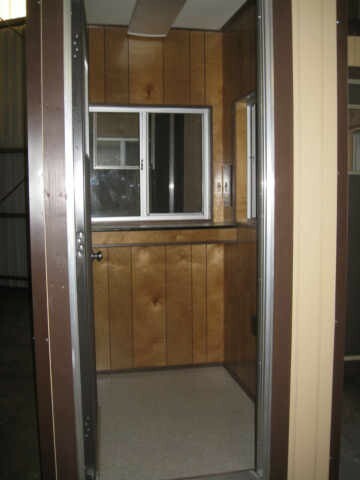 2 swinging doors with glass inserts. Fluorescent light, and plugs wired to subpanel with breakers for hardwired electrical hookup. Air conditioner heater unit. 220 volt hookup.